As is to be expected West Ham did us no favours last night by losing away to Chelski, but with that lot due to play Liverpool and United away, their route to top four is still a tough one. Whether or not it’s tougher than ours remains to be seen because quite frankly with our away form it feels like mentally we’re one down before we even start. Now, with the two game suspension for Sokratis needlessly pulling down Calvert-Lewin on Sunday, we’re even another man down and after the defensive display we showed against a pretty poor Everton front line, I’m already looking at the Watford game with trepidation. We really need Koscielny to be fit for that. Like, so bad, because as it stands we’ve got Holding out as we know, Koscielny still injured until we’re told otherwise, Sokratis suspended and a manager who just doesn’t want to let Mavropanos anywhere near the first team. Before we even play that Watford game, however, we have Napoli at home and if Koscielny is fit enough to play in that one is his body cut out to handle a game just four days later? My guess is not and that means that I think we’re going to have to find some solutions which will certainly involve Mustafi but actually, more worryingly Monreal, who is looking every bit his age right now. Richarlison has him on toast all afternoon on Sunday and with Sokratis due to sit some time out we will probably see more of Monreal than we should right now. I don’t want to seem like I’m digging him out here because he’s been brilliant for us for so many years and he seems like a very likeable character, but his drop in form this season seems to have gone unnoticed by many of us and whereas in the past we’ve just tried on him to be a solid seven out of ten, it feels like what we’re getting these days is a six at best. That’s not what we need and certainly with Kolasinac’s deficiencies it’s not what he needs from the guy who spends half his time covering the Bosnian, but it’s what we’re getting out of Monreal, with the other options either square pegs like Xhaka in defence or players that the manager just doesn’t want to play like Mavropanos. But patching up an ageing Koscielny does hit home just how much work will be needed in that back line in the summer. A lot of Arsenal fans I speak to talk about getting a centre half but with the look of the players we currently have in that position it feels like two or three might be a better option. If we recognise that Mustafi is still probably a saleable asset and Koscielny is probably not going to last another full Premier League season, it does feel as though we need to perhaps make two or three very astute buys at the back, which is before we even start talking about another left and right back as cover for Hector when he returns or Kolasinac if he gets injured or loses form. It feels a little bit of a mess right now but let’s face it, with our back line and the leftovers that Emery had to deal with from the previous regime, it was always going to be a challenge to change the back line over the course of a season. Habits have been ingrained, mentalities have been set and psychologies have sunk in. 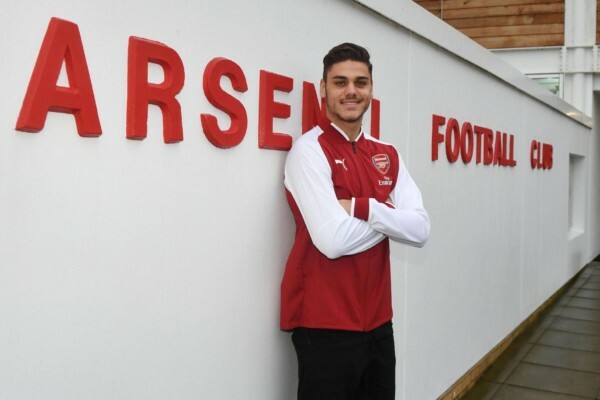 The hope is that Mavropanos is this mystical Greek god who will come in and be a rock for us but I’m not sure you know. There must be a reason why he hasn’t been thrust in given the clownish defending we’ve already seen? I mean it’s not like he could make us look that much more amateurish than we did at the weekend, is it? So give him a go Emery. Test him out. If it works out then you have a couple of ‘internal solutions’ in him and Holding to add to your rebuild job in the summer. If it doesn’t work out then you have a case for more investment needed to get Arsenal back to where we want to be. Maybe that’s why Mavropanos isn’t playing? Maybe it’s because Unai wants two centre halves and he knows the club will not grant his wish if it looks like we can solve our problems internally. I’d like to think that he’s not that type of guy but after his comments about making signings in summer and needing to buy, there’s always that little lingering doubt. We’ve seen countless times over the years when managers get political in their machinations, so it wouldn’t be the first time, but for a guy who seems to have put a lot of stock in having every player as an equal and treating them all fairly, it does seem weird that Mavropanos hasn’t even been given a little bit of a run out. Anyway, enough of my conspiracy theorising for one day, have a good Tuesday and keep it Arsenal. One of your best articles this season.Montreal is gone and Mustafi, Socratis and Kolasinac are simply inadequate. I thought it was because Mavropanos has been injured for ages, thought he just got fit recently then broke down again. What do you think about Chambers coming back into the team next year? It’s hard to tell how to rate him. He has been good for a shambolic Fulham but is he good enough for us? I certainly think he’d improve our current situation. Yes,can’t understand why Mavroponos who I understand in now fit is being overlooked.a mystery.if kozzer doesn’t run I would look at Elneny in the role.Has played it before reasonably comfortably.Not as aggressive or airily dominant but gives us more control st the cab is terms of playing out.certainly better than having in midfield which because of his crab like nature & lack of aggression brings nothing to the party.so as a last resort it’s the way I’d go….